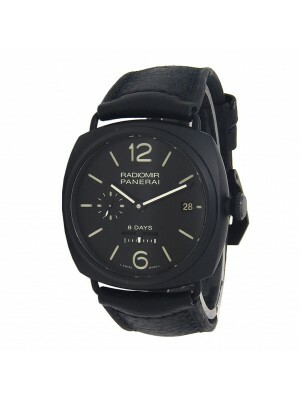 Panerai watches are some of the few brands that give Italy its deserved place among the few European nations that dominate the world of luxury watches. Designed to give users the best of two worlds—Italian finish in design and Swiss excellence— these machines come in handy as a perfect blend of creativity and technology. Since Giovanni Panerai founded this watch manufacturing giant in 1860, the company has grown from a small family business to renowned international player in a pitch that is dominated by Swiss manufacturers. So determined was the founders of the company that a few years after its establishment, it became the Italian Royal Fleet’s official supplier. Thereafter, it has remained an emblem of sublime quality—the finest that Italy can offer the world. 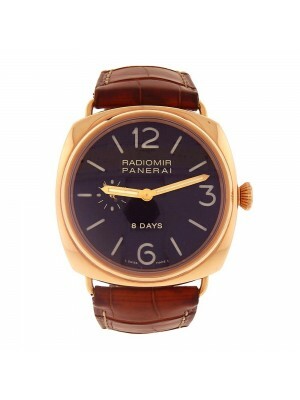 Following a legacy of determination, the firm set up new shops in Italy, and as the company grew more famous, it entered the world of high-quality watches, supplying the Italian army with a model that became known as Radiomir. 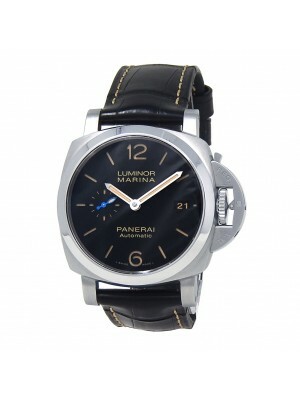 True to its spirit of continuous innovation, it introduced the Luminor Panerai in 1950 to replace the Radiormir brand, but this model had an eight-day power reserve. In 1972, the company diversified and focused on producing the same quality to satisfy the thirst of Italian civilians who were yearning for the same prestigious quality the army was enjoying. In 1997, Richemont Group bought the company and fortified its place in the market, leading to greater popularity and success. 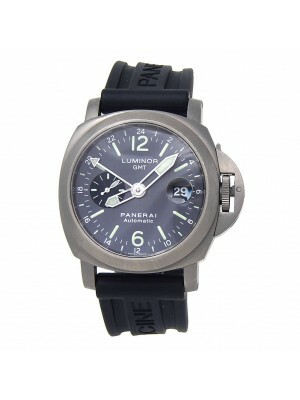 The company has a rich collection of watches that target different niches in the market. 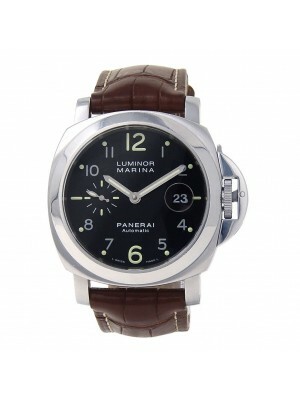 Lovers of new and pre owned Officine Panerai watches can enjoy them in any of the brands below. First, we have the prestigious Radiomir Black Seal Men's Watch, a machine that features a stainless steel casing and a black leather strap. The majestic and masculine “beast” has a black dial with lustrous time indicators. 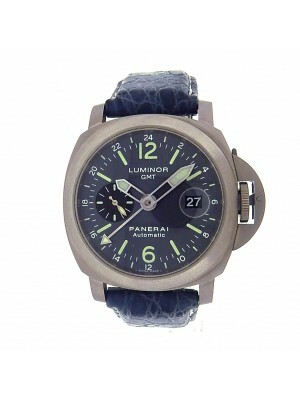 In addition, it is a mix of modern technology that blends the beauty of the analogue age and automatic movement. Its huge Arabic numbers allow users to read the time conveniently. 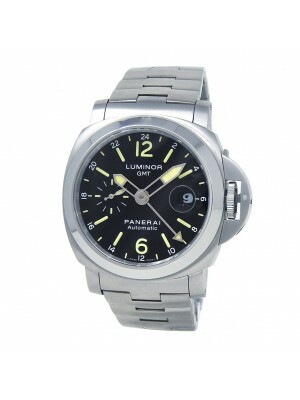 Luminor Submersible Men's Watch also features a stainless steel case and black rubber strap. It also has a black dial with shining hands and Arabic numbers at the 6 and 12 o’clock positions respectively. Moreover, it features a date at its 3 o’clock position, not to mention that the watch can resist scratches due to its sapphire crystal. For those who like the marine world, they can dive with it up to 300 meters under water without interfering with the integrity and functionality of the watch. 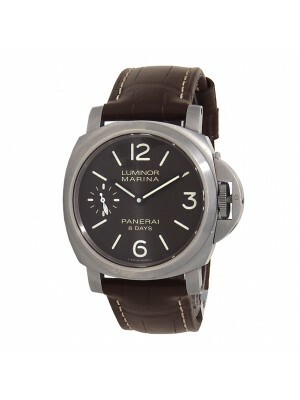 Lastly, prestige lovers can enjoy the beauty and glamour of Panerai used watches by sampling the Luminor Marina Black that comes with a steel casing and a brown leather strap. 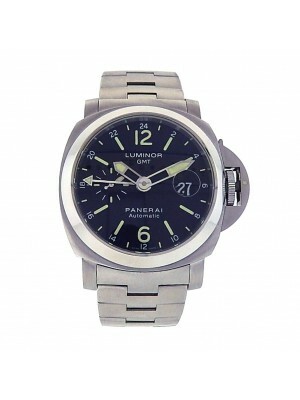 Its stain-resistant bezel is fixed and made of stain-resistant steel. The watch also has an automatic movement that is fortified with a 48-hour power reserve. 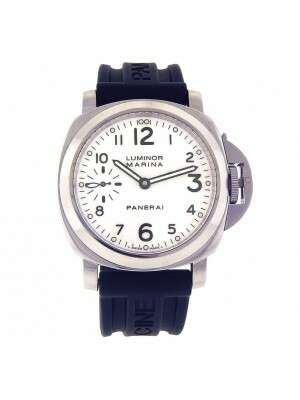 Moreover, the timepiece can resist scratches, and you can swim with it up to 300 meters below water.